Ignite your curiosity. Ignite your imagination. 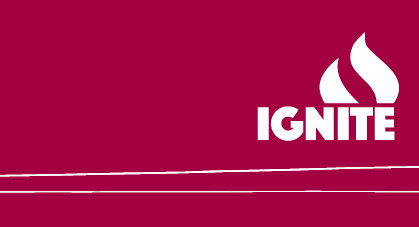 Welcome to Ignite: St. Thomas Aquinas College’s second annual Art, Design, and Scholarship Exhibition. Ignite is a celebration of our undergraduate students, their research, and their creativity from multiple disciplines across campus. The scope of the presentations featured showcase the outstanding caliber of our undergraduate students at St. Thomas Aquinas College. We hope that this exhibition will ignite a passion for discovery and ingenuity in all of our students for years to come. The projects on display also demonstrate the ongoing commitment of our faculty to supporting undergraduate research. As is true of their faculty mentors, these students and their work hold the potential to contribute positively to the world. Each of these students has benefitted from guidance provided by exceptional faculty. We thank the faculty for their efforts on behalf of these students. 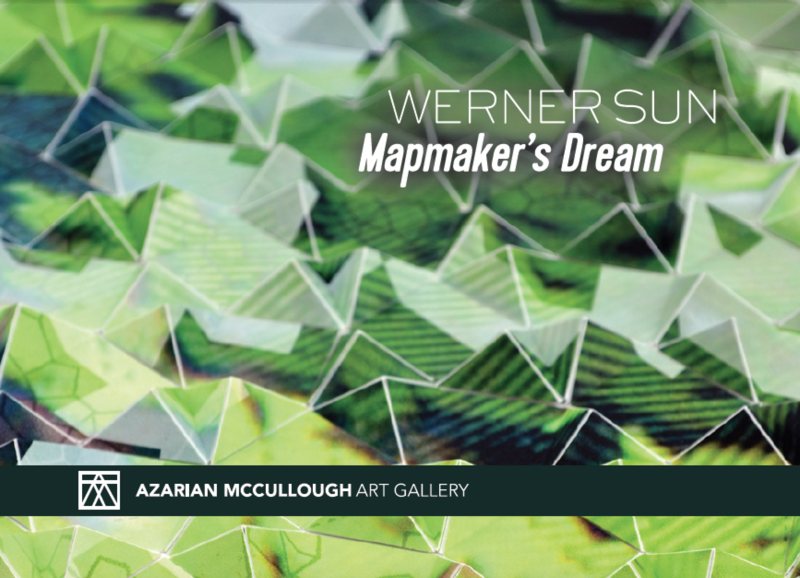 We strongly encourage you to share in this showcase -- visit the poster presentations, view exhibits on display in our gallery, and read the collection of abstracts included in this program. Win Zibeon and Carl Rattner first met in 1990’s as founding members of the Piermont Flywheel Gallery. At the PFG, and in group shows at the Hopper House, ROCA, AMAG and the John F. Peto Museum, their work often appeared together. Their first two person exhibit (Kindred Spirits) was at the Pomona Cultural Center in 2002. 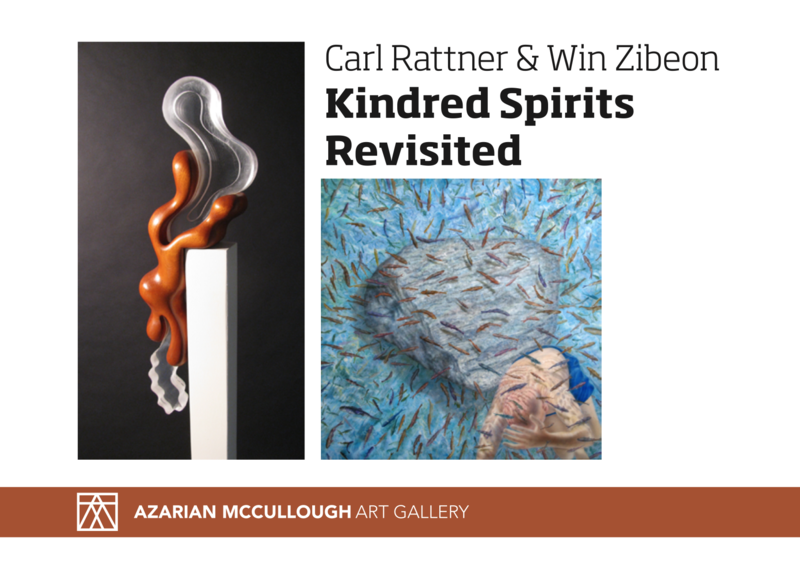 Kindred Spirits Revisited brings these artists together again. While Win is a painter and Carl a sculptor, their work displays similar sensibilities. Both have been inspired by the Surrealists’ love for the unusual and the seemingly illogical. René Magritte’s trompe l’oeil style is evident in Win’s work, perhaps most dramatically in forms that appear to float and in his picture frames, which we soon discover are not really frames at all, but skillful simulations of gilded wood. The sensuous biomorphic / architectonic form contrasts of Jean Arp are evident in Carl’s work, perhaps most dramatically in forms that appear to melt or morph into different shapes and textures. While both Win and Carl have used their skills to create playful visual puns and eye catching imagery, both have explored the use of metaphor to express more serious themes relevant to our physical and emotional vulnerabilities and our threatened environment. Maya Shoshani’s work envisions “plastic” as both a material and an idea. By sculpting domestic, suburban scenes from common building materials that are commercially fabricated to mimic other materials like wood and brick, Shoshani reflects “a place’s identity by using elements that are authentic to the environment.” In “My Plastic Crush,” the viewer encounters familiar images, like a generic gas station sign or the Shell icon, but these images are removed from their usual environment. This in turn lends the perception that they are fake: the real image, placed in an unfamiliar environment, no longer seems real. In her work, the authentic is difficult to define. 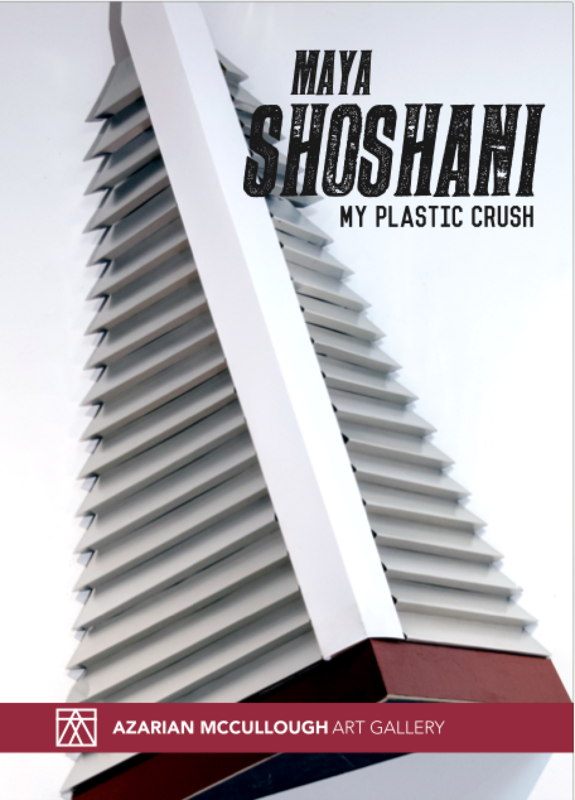 Furthermore, Shoshani’s use of archetypal images of the suburban American Dream, like a white picket fence, A-frame houses, and flowers, evoke the concepts of “place” and “home.” Her sculptures are neither laudetory nor dismissive of the collective American Dream. Instead of venerating or mocking the desire for that “white picket fence,” her reflective materials reflect our desires and dreams back to us. Maya Shoshani was born in Atlanta, raised on a kibbutz in Israel, and currently lives and works in New York City. Her work has been exhibited in New York and Georgia. Although her academic training focuses on the arts, she has also been involved in different businesses and worked as a teacher in various capacities. Now in 2017, it is the voices who were against the war—World War I and America’s participation in it, that resonate the most, as if the longer we have to look back, the clearer these anti-war voices have become. Take for instance Hemingway’s own words in his short story In Another Country: “this was a long time ago and then we did not any of us know how it was going to be afterward. We only knew then that there was always the war, but we were not going to it anymore.” Hemingway’s wounded narrator is suggesting that the wounds of war, both physical and psychological, never leave those who participate in it. 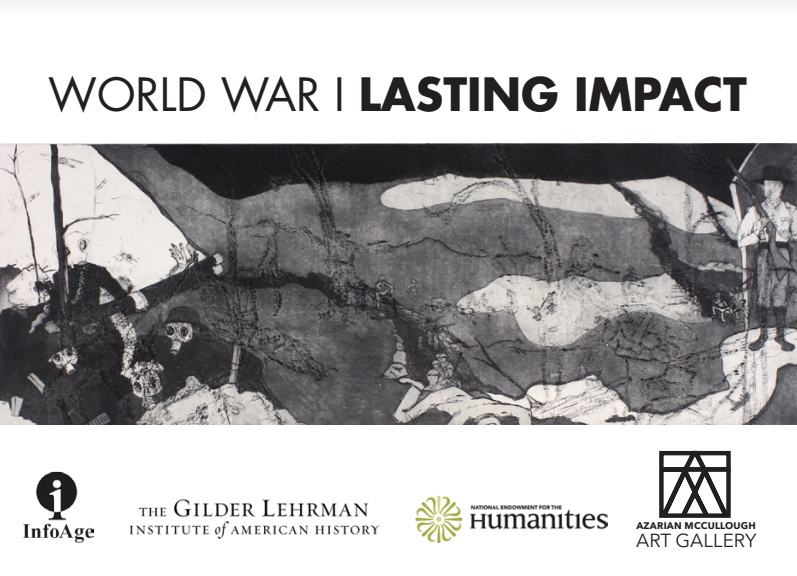 This then is one way to view the images presented by a range of artists in Lasting Impact—a reimagining of what World War I and its legacy means to us today, and perhaps equally important, what we have learned or failed to learn from its enduring history. This program is part of World War I and America, a two-year national initiative of Library of America presented in partnership with The Gilder Lehrman Institute of American History, the National World War I Museum and Memorial, and other organizations, with generous support from The National Endowment for the Humanities. Co-sponsored locally by St. Thomas Aquinas College, The Nyack Library, the African American Historical Society of Rockland and Infoage Science History Learning Center. Participating artists and speakers: Andranik Aroutunian, Bruce Beyer, Reineke Hollander, Bo Kim, Harry Klancer, Jason Laning, Marie Edie Meeks, David Means, Andrew Stearns, Daniel Rothman and students in ART 228: History of Graphic Design- Amanda Fidlow, Ulyana Kitcmanuk, Emerald Perez, Kyle Reinhardt, Faralynn Sanchez, Dominique Smith, Christian Torgersen and Aida Torpey. Timothy Hull’s work seeks to present narratives from the past that are firmly rooted in the present. His installation is layered- physically using impasto and stacked canvases layered on shelves, and conceptually drawing from the aesthetics of the ancient and contemporary. 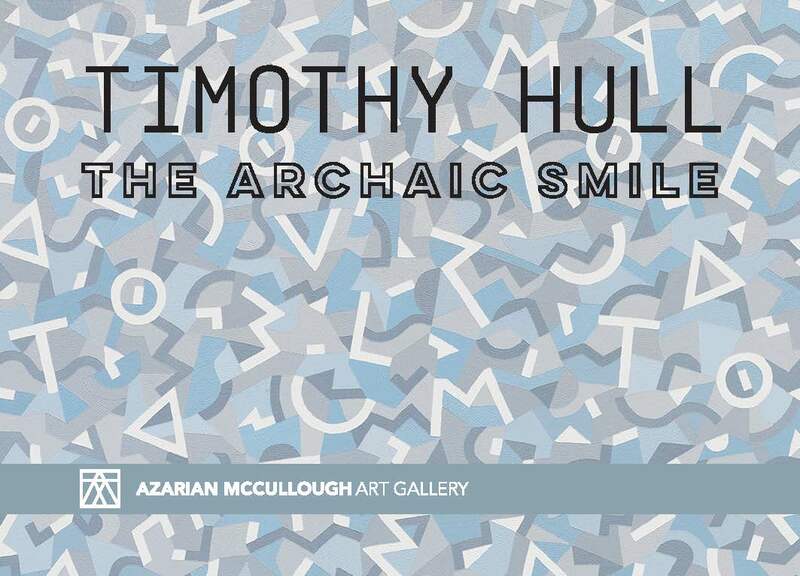 Hull’s scholarly interests include, “glyphs, texts, epigraphs, and wall graffiti from antiquity; visual instances of homosexuality in Ancient Greece; sensuous and stylized vases; politics of museum display; and the ruins that remain from the ancient world.” In The Archaic Smile, these interests combine into a mixed-media and site specific body of work. Through his use of muted, almost desaturated color and repeated silhouettes painted flat behind the installations, Hull creates an environment for contemplation. The space between the pieces reflect their debt to ancient ruins, the canvases propped against each other like Roman marbles remaining after the fall of the Empire. Hull splits his time between studios in Brooklyn and Warwick, NY. He has shown his work internationally, in solo shows in NY and LA and groups shows at the Tate modern, in London and in Paris, Milan and Tokyo. He is a Visiting Professor at Pratt, was a Teaching Artist in Residence at Cooper Union and is an adjunct here at St. Thomas Aquinas College. The folded nature of his work evokes both origami and textile patterns and plays into our natural desire to find patterns as a way to explain abstract and novel concepts. The intimate nature of many of the pieces compels the viewer move closer, allowing this new landscape to envelop the full field of vision. His use of folded paper reinforces the physicality of his photographs, even as it reduces the fidelity of the images. Sun has exhibited his work throughout the Northeast and has been published in both art and science journals. After obtaining undergraduate and graduate degrees in physics, he became a research associate at the Cornell Laboratory for Accelerator-based Sciences and Education, where he is currently the IT Director.